17038 LOC ISRAEL (1961) Scouting labels. 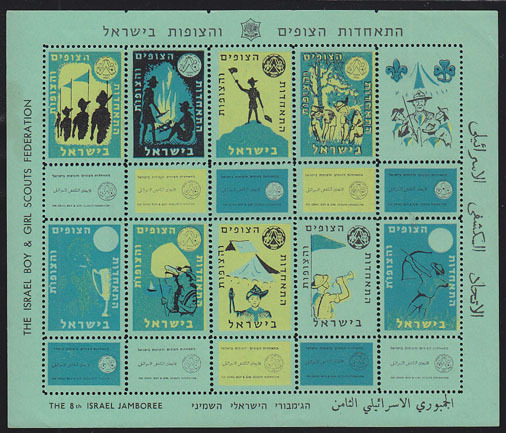 Sheet of 10 labels (green background) issued by Israel Scouting Federation for 8th Jamboree. 17039 LOC ISRAEL (1961) Scouting labels. 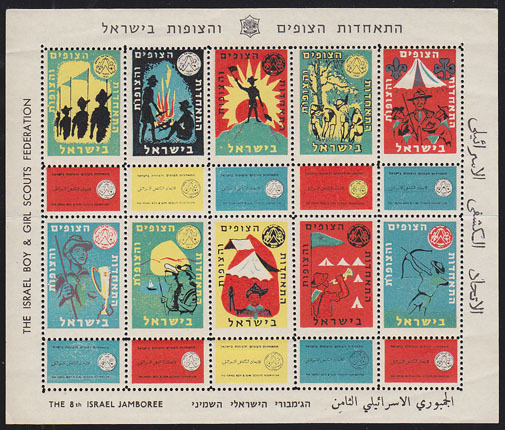 Sheet of 10 labels (white background) issued by Israel Scouting Federation for 8th Jamboree.